Global and local scene features as well as prior knowledge of where objects are most probably found in scenes seem to enable us to rapidly narrow down search space during scene viewing. 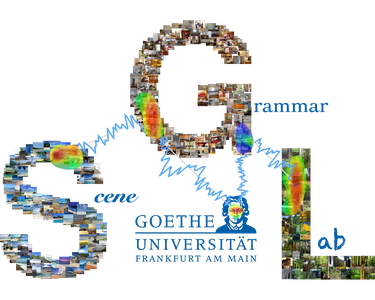 What information from an initial glimpse guides our search and what is the time course of this initial scene processing for the purpose of object search?I have used a number of experimental paradigms to study the workings of “scene guidance”. 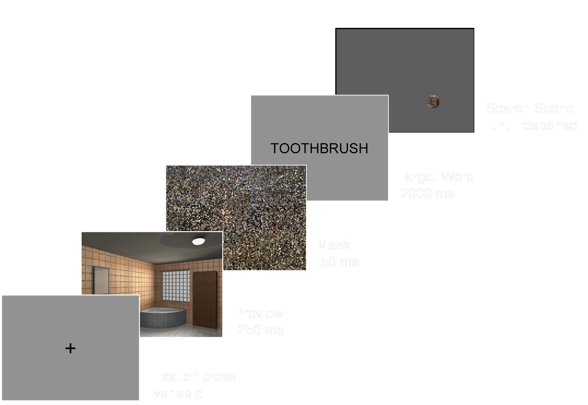 For example, the "flash-preview moving-window” paradigm (Castelhano & Henderson, 2007; Võ & Henderson, 2010, 2011) combines a brief, tachistoscopic viewing method (typically used in scene categorization experiments) with the moving window technique (typically used in reading studies). First, a masked scene preview is briefly flashed followed by a word indicating the identity of the target. Now, when the search scene reappears, it is only visible through a small, gaze-contingent moving window centered at each fixation. This paradigm allows us to selectively manipulate the information provided by the preview of the scene. Manipulating preview content and duration shows that even an incomplete preview of a scene (no objects/no background) can benefit search with the degree of benefit depending on individual differences in general processing speed (Võ & Schneider, 2010). Even a 50 ms glimpse of a scene can guide search as long as sufficient time is subsequently available to combine prior knowledge with visual input (Võ & Henderson, 2010). Võ, M. L.-H., & Henderson, J. M. (2011). Object-scene Inconsistencies do not Capture Gaze: Evidence from the Flash-Preview Moving-Window Paradigm. AP&P, 73, 1742–1753. Guidance of Eye Movements When Searching Natural Scenes. JOV, 10(3):14, 1–13. Võ, M. L.-H. & Schneider, W. X. (2010). A Glimpse Is Not A Glimpse: Differential Processing of Flashed Scene Previews Leads to Differential Target Search Beneﬁts. Visual Cognition, 18(2). 171-200. We’re located at the Goethe Universität Frankfurt, Germany and always happy to have people join the team. Feel free to contact us if you want to know more about the lab or simply want to stop by for a visit.